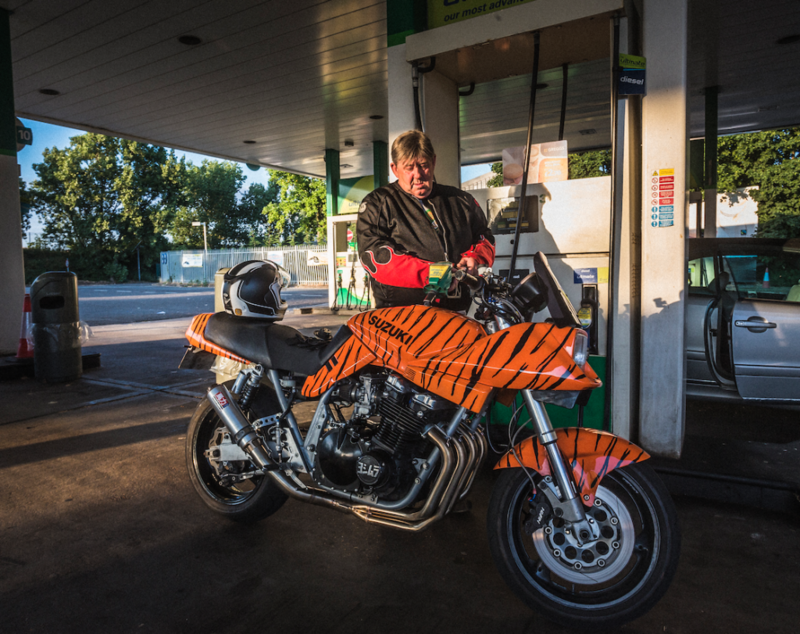 Gary Hurd’s tiger-striped Suzuki could be the most eye-catching Katana in the world. Practical Sportsbike’s resident Technical Consultant is a big fan of any 80’s Suzuki GSX, and the big Kat certainly wants for nothing. Gary has now completed more than 6,000 miles on the Katana using our ContiRaceAttack Comp rubber – on both road and track. 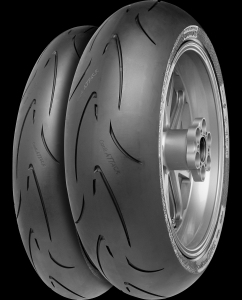 “I’ve said it before and I’ll say it again; I really rate these Continental tyres. They’ve been on my Katana now for a couple of years and 6,5000 miles, and in that time they’ve done it all; road, track, sprint, commuting, the lot. The front is a soft compound, the rear a medium and I had expected the rear to last for maybe 2,500 miles, tops. I reckon I could squeeze another 500 out of both, and it’s not as if I’ve given them a quiet life. The rear’s been subjected to burn-outs pre-quarter mile sprinting. I tried it without burning out too and it proved sticky enough to dig in and drive which impressed me. The biggest thing for me has been the confidence they’ve given me. I don’t ever have to think ‘is it going to grip?’ because I know it will. The only issue I’ve had was the front going flat one night, but I put that down to a missing dust cap. Since pumping it back up it’s been fine. The ContiRaceAttack Comp comes in a range of compounds, with soft and medium for race use, and endurance for fast road and track day riding. This entry was posted in News and tagged ContiRaceAttack Comp, ContiRaceAttack Comp Endurance, Practical Sportsbikes, Suzuki. Bookmark the permalink.